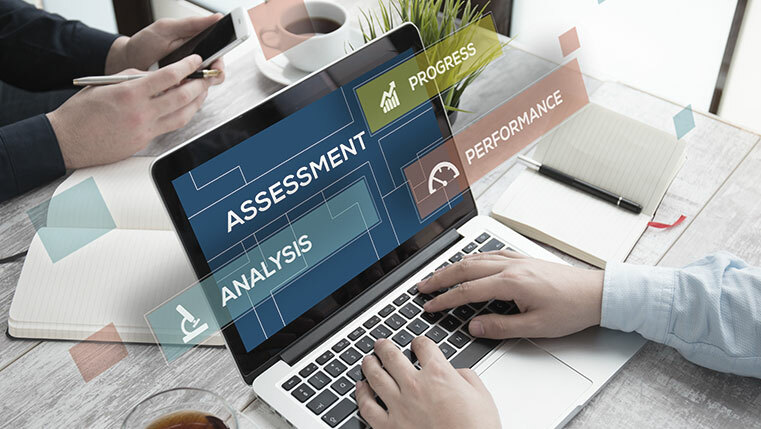 One of the reasons for the failure of e-learning initiatives in organizations is the lack of a proper assessment system that measures the learning outcomes and their impact on business growth. In most corporate training programs, assessments are included in e-learning courses as an afterthought. This results in the inaccurate and inadequate evaluation of learning that is accomplished. So it is necessary for an organization to develop a well-designed assessment to accurately measure the extent to which employees have understood the content taught in the course. This blog attempts to give you a basic understanding of the best practices of writing good assessment questions. 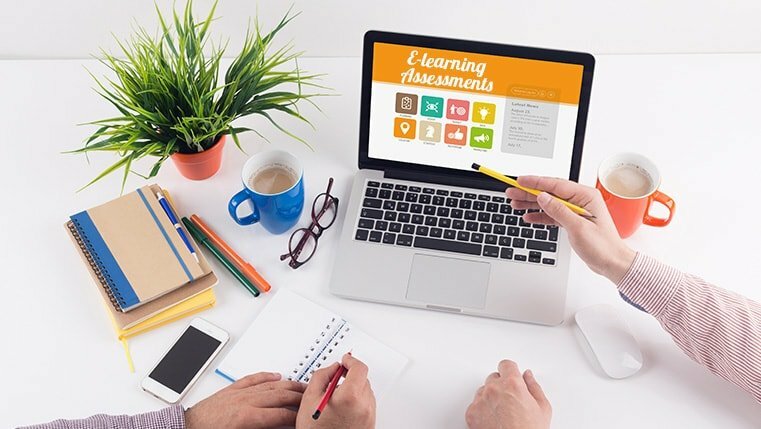 In e-learning, assessments can be broadly classified as Formative and Summative. Assessments that are carried out throughout the duration of the course are called formative assessments. This serves as a learning aid to employees by giving them immediate feedback on their learning progress after every unit. Summative assessments, on the other hand, are an evaluation at the end of the course. They are used to ensure that learners have acquired a certain level of knowledge, skill, and ability at the end of the course. Technology has enhanced the assessment designing process and provides several benefits to e-learning developers and users. Technology has enabled the development of interactive assessments with the use of simulations, multimedia, and games, resulting in greater learner engagement. Assessments can be conducted within a module or at the end of every module, making them more flexible in terms of space and time. With e-learning assessments, feedback can be instant and effective. This facilitates better learning by providing an opportunity to the learners to self-assess their understanding of the subject. Technology helps evaluate the training and future designing of courses. Data stored in the LMS can help evaluate the effectiveness of the curriculum and learning outcomes. Is the subject appropriate for online medium? This is an important question you must ask as an instructional designer. Not every skill can be tested online, for example, motor skills. Use e-assessments only for those courses which are appropriate for the online medium. While designing an online assessment, you must also keep in mind who the target audience is. The skill, experience, and characteristics of your learners are significant factors in determining the questions of an online assessment. After completing the assessments successfully, we expect learners to have successful learning outcomes. They should be able to transfer the new learning to the job. Hence, the assessment strategy must be aligned clearly with the learning objectives. An assessment must help learners assess their progress in achieving the objective of the course. An assessment generally consists of three components – the question, the options, and the feedback. Questions should focus on the key element of your learning objective. Ask questions only in the context of the content covered in the course. Also, avoid the use of negatives and tricky questions that could confuse learners. Options are possible answers to evaluate a learning outcome. Avoid lengthy and repeated phrases in your options. Also, remember to use relevant options as distractors. Feedback needs to be provided throughout the course, rather than just at the end. Include clear and meaningful feedback that reinforces learning at the end of every topic and after every few learning points. It is not always mandatory to make your assessments challenging. However, all you have to do is make the assessment appropriate for your learners. The overall purpose of an assignment is to test and enhance the learner’s knowledge. Employees take e-learning courses to enhance their performance and develop skills. Additional resources such as job-aids, videos, and downloadable manuals will increase their proficiency in the subject. Also, remember the whole idea of developing an e-learning course is to facilitate knowledge transfer. Incorporating a little bit of creativity in the framing of questions will go a long way in enhancing learning. To conclude, an assessment is vital for e-learning or any other program that aims at improvement. It not only tests the learner’s knowledge and skills, but also helps the learner understand the areas where he/she requires improvement and practice. Based on the assessment and feedback, your employees can work toward improving their knowledge and skills.